Man do I know exactly what you mean and totally empathize. I’m constantly WAY over word limits, and I spend inordinate amounts of time looking for longer or no word count magazines to submit to (I’ve found a few, if you’re interested). Many of my friends tell me they’d “love to” read my blog but it’s too long and they’re “intimidated” when they open the email or the page and see it’s pages and pages. On which I call BS – they may be lazy, but I can’t imagine these people are in fact intimidated. Another friend of mine, a wildly successful blogger (hers got her, several years ago, her current job as a staff journalist at HuffPo) and great writer, tells me I have a “context problem” – meaning I give too much. “It’s not BAD, necessarily,” she says, “that’s just your style. Unfortunately, it’s not anyone else’s anymore, so people lose interest in all your backstory before you get them to the actual story.” Which is valid criticism, I guess. 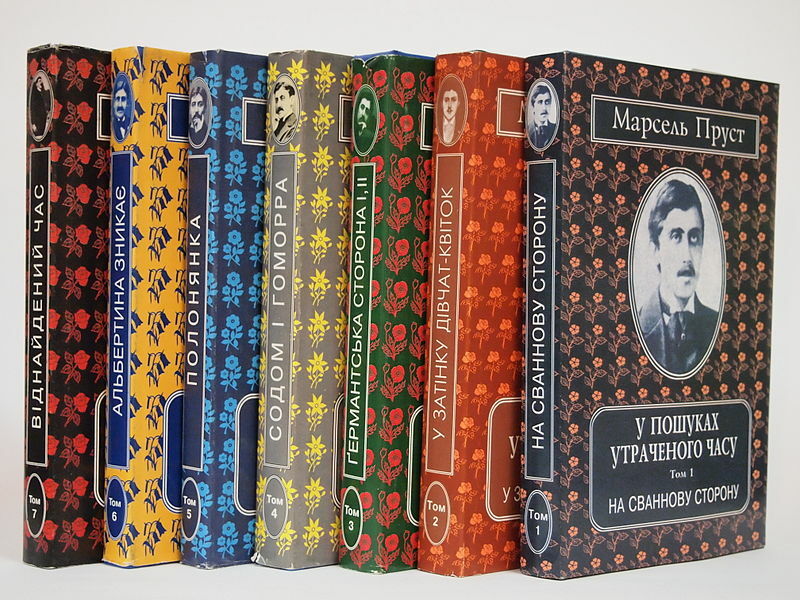 PS – love the Russian version of Proust! I’ve also been given that context advice and been told I provide too much detail in my writing, but I believe it’s a matter of style and taste. My favorite novels are filled with rich details that certainly aren’t necessary to the plot. But I’m not a plot driven reader. I trust the author will get me where I need to go eventually. I read for the experience and joy of the process, and I’m in no hurry. Your style is lingering and evocative and will always require some time and energy and, yes, intellect to absorb fully. That’s what makes it great. Thanks again for the note. Talk with you soon! P.S. Yes, please forward me the journal referrals. I’m on a mission to find a place for my Bakhtin essay and several others.